If you’ve ever experienced a flooded basement you know how much damage flooding can cause. Even small amounts of water leaking into your basement can lead to thousands of dollars in damage, not to mention hazardous mold and mildew growth. If your basement is at risk of flooding, a sump pump is an excellent safeguard. Though sump pumps are typically installed to prevent basement flooding, they can also be used to reduce dampness by lowering the water table under the foundation. At Wilson Bros. 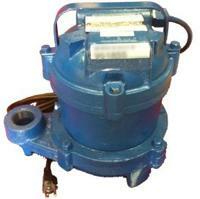 Plumbing, Heating and Cooling we specialize in sump pump installations. Your sump pump will be installed by an experienced member of our team. After a survey of your home’s environment and construction, we will recommend the best product to secure your home and belongings against water damage. If your sump pump is not working properly, Wilson Bros. Plumbing, Heating and Cooling offers sump pump repair services. Don’t wait for the damage to build and become costly to repair. Call Plumbing, Heating and Cooling for Albany sump pump repair service.